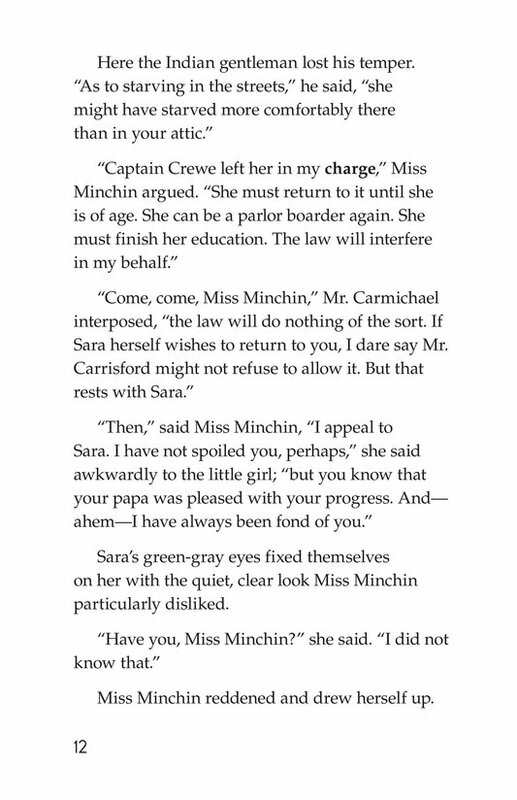 When Miss Minchin learns that Sara is next door, she storms over to punish her. 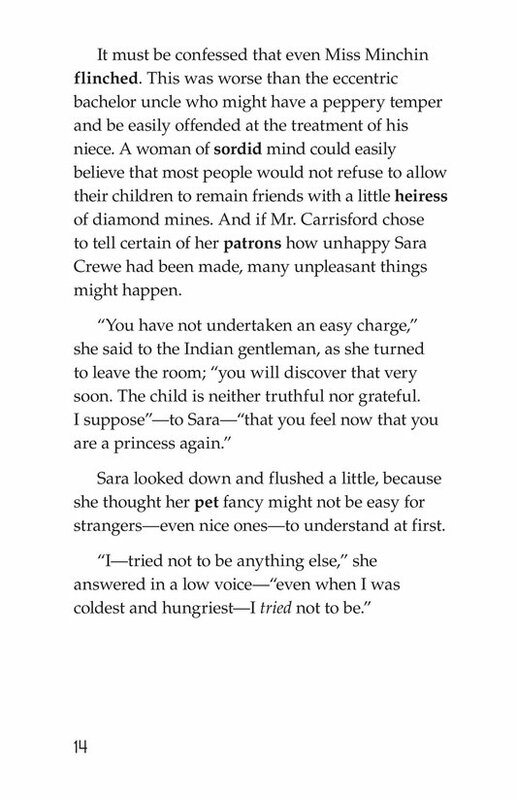 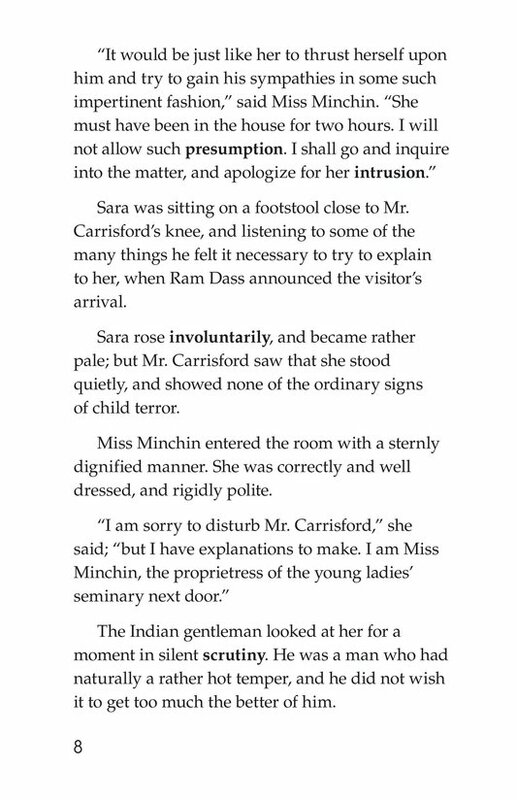 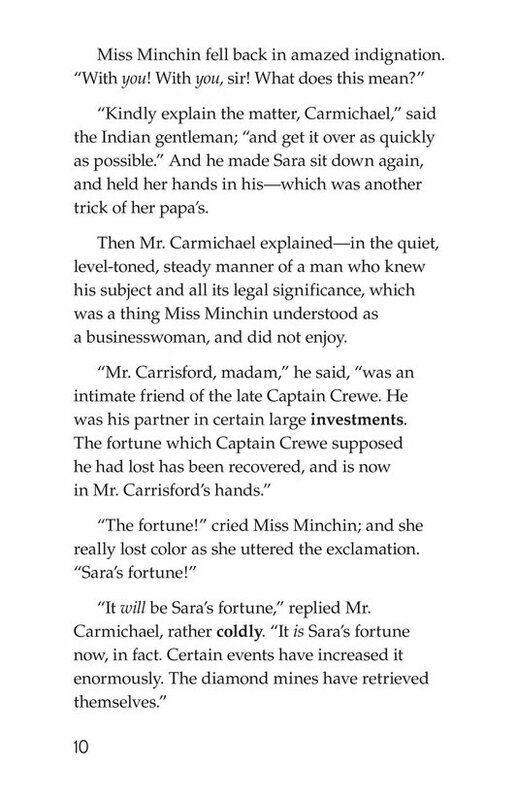 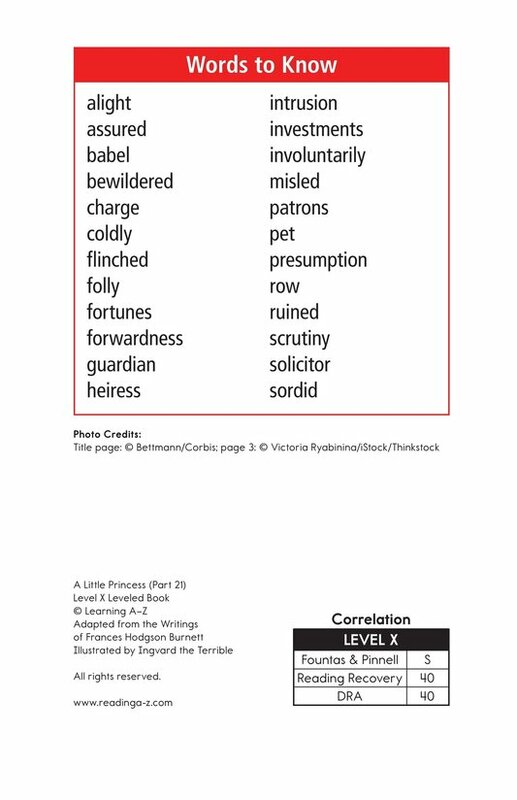 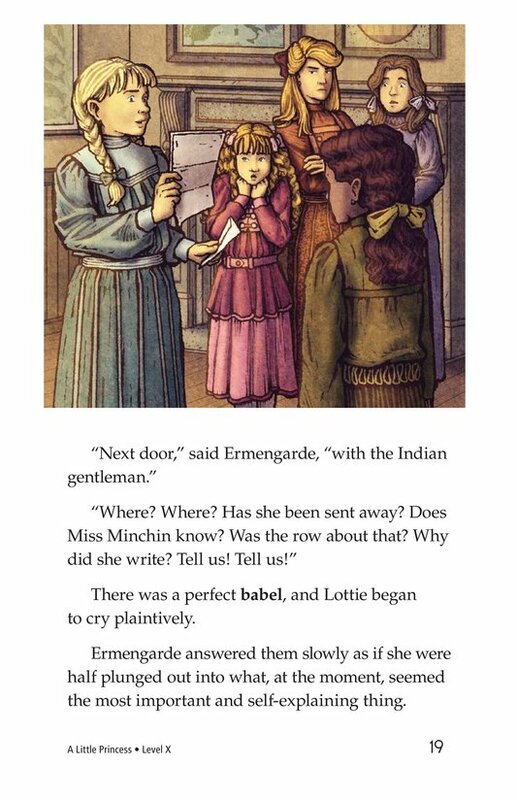 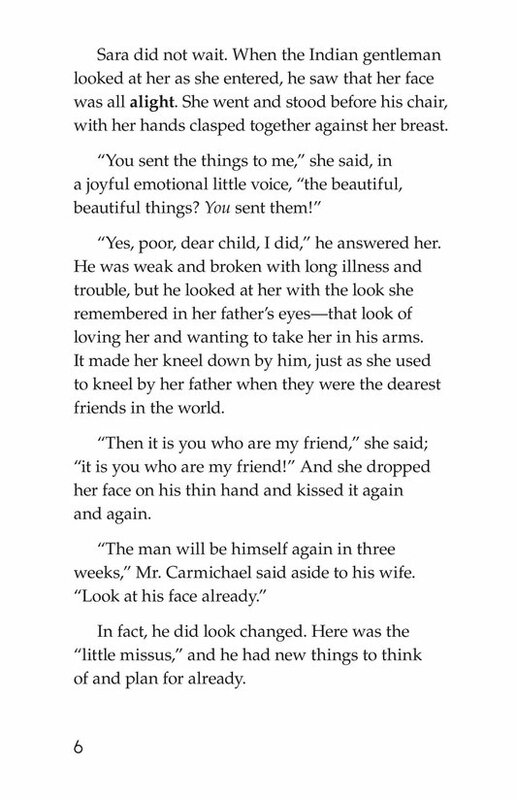 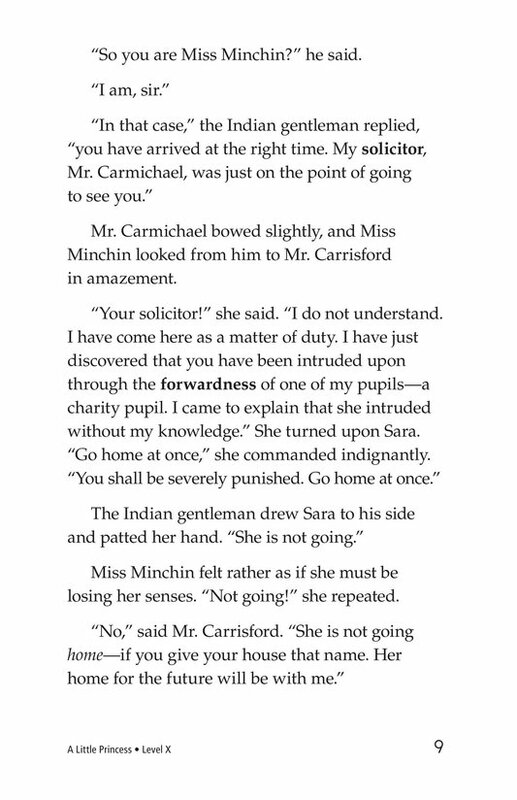 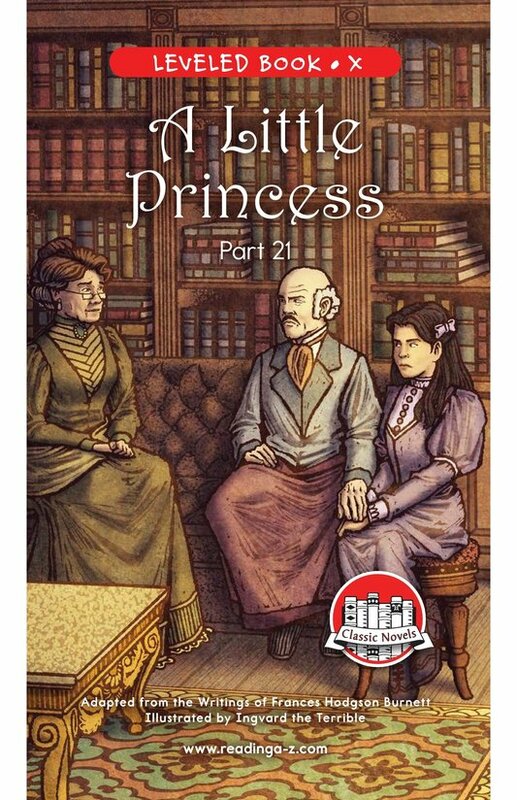 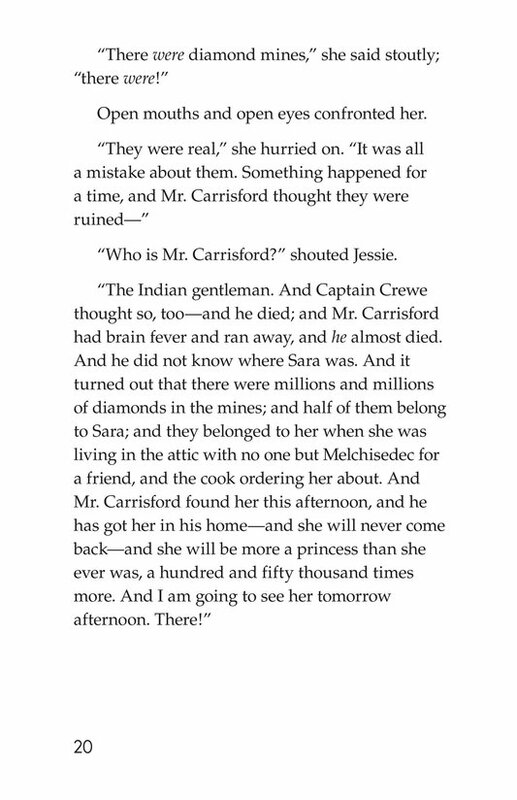 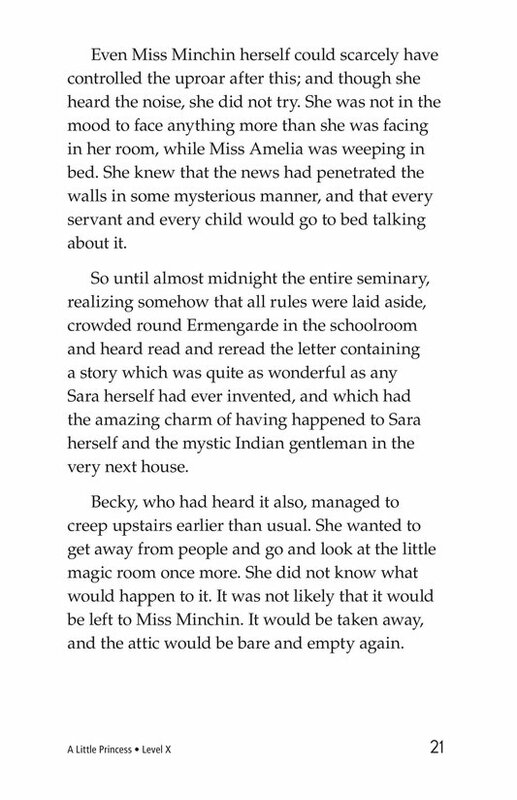 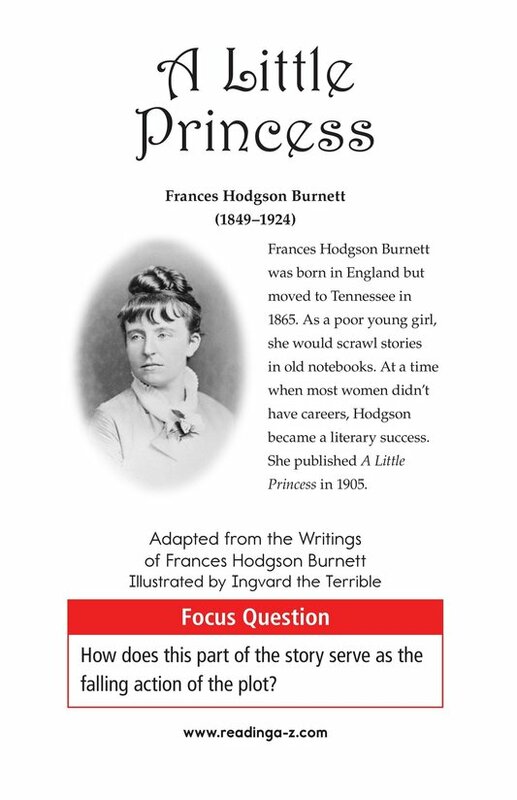 Instead, Miss Minchin learns the truth: the Indian gentleman is Captain Crewe's business partner, the diamond mines have paid off, and Sara is as rich as a princess. 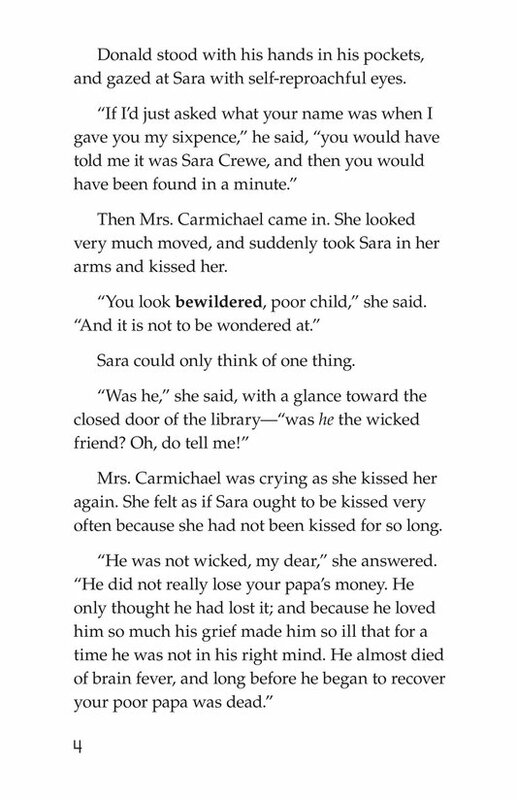 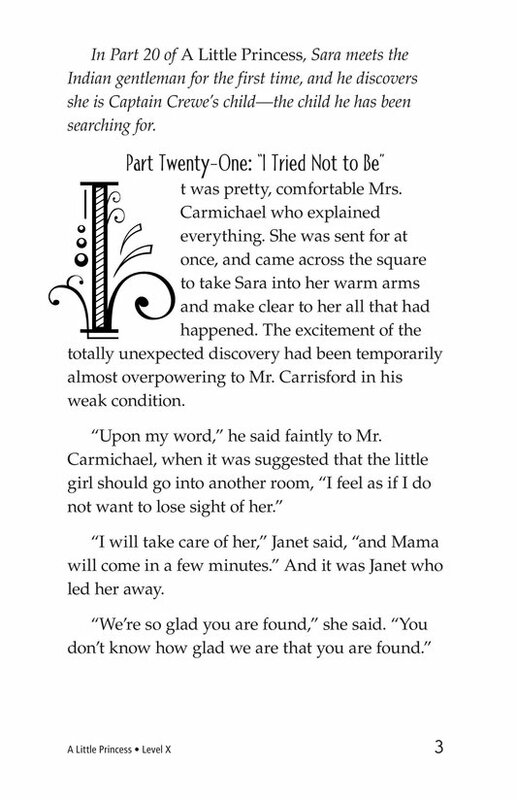 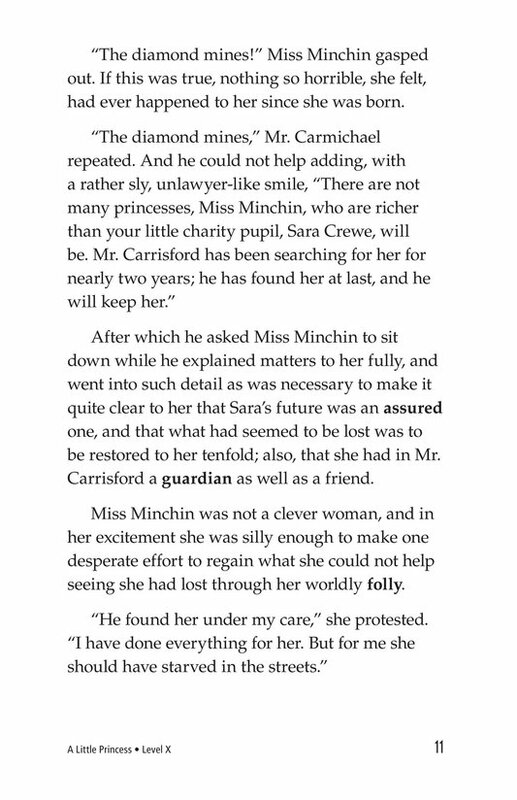 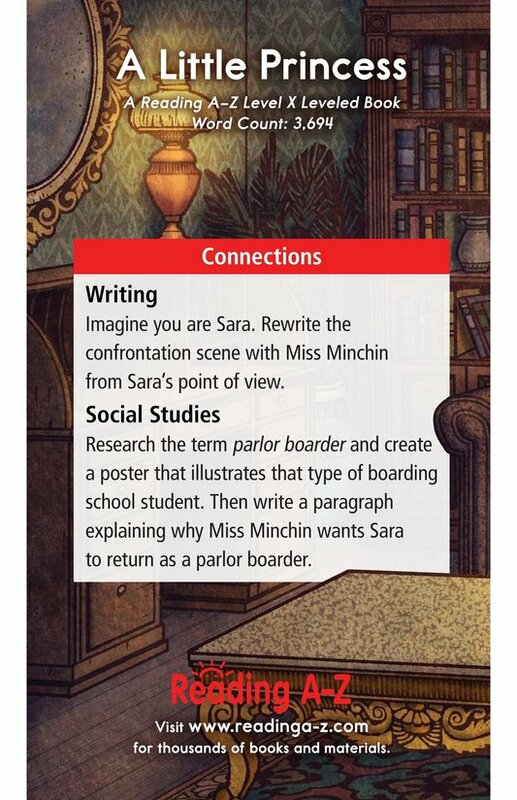 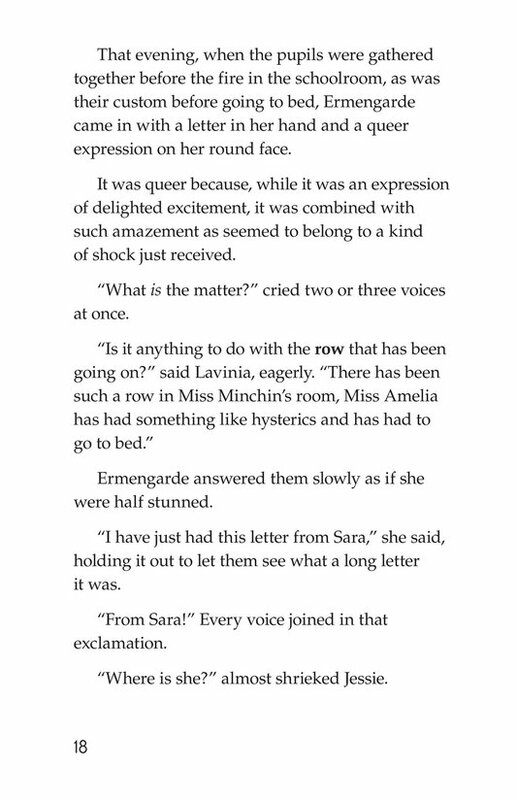 Carrisford explains that Sara will no longer attend the school. 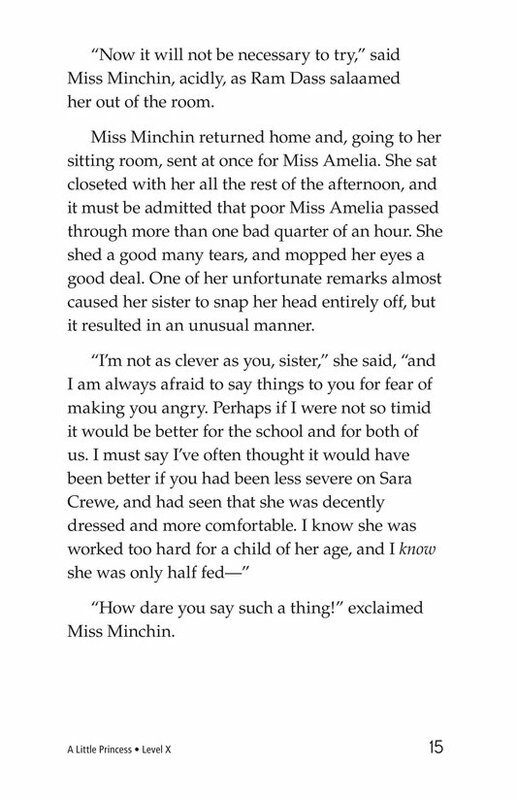 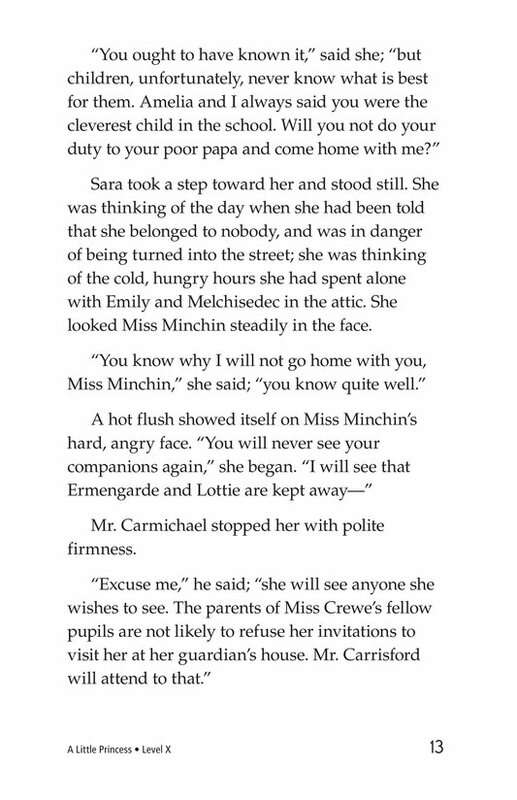 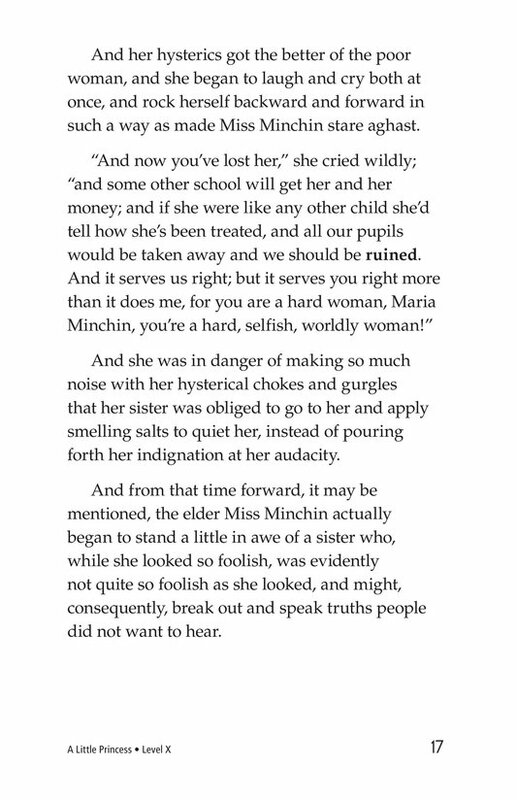 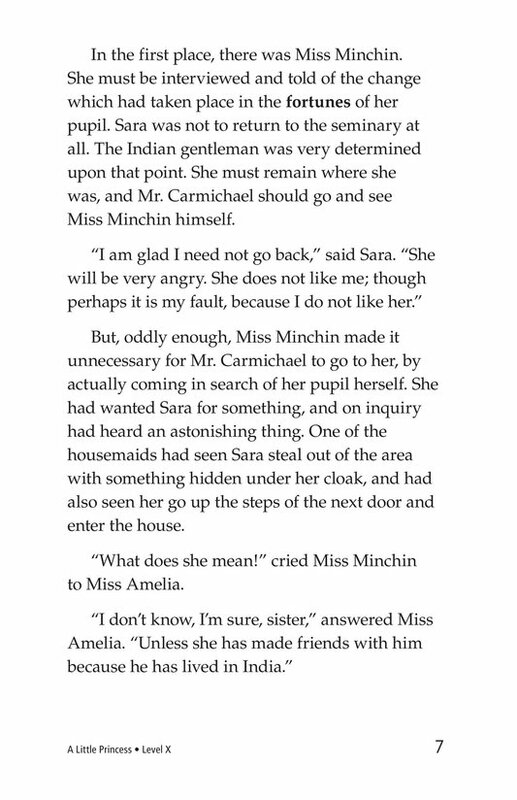 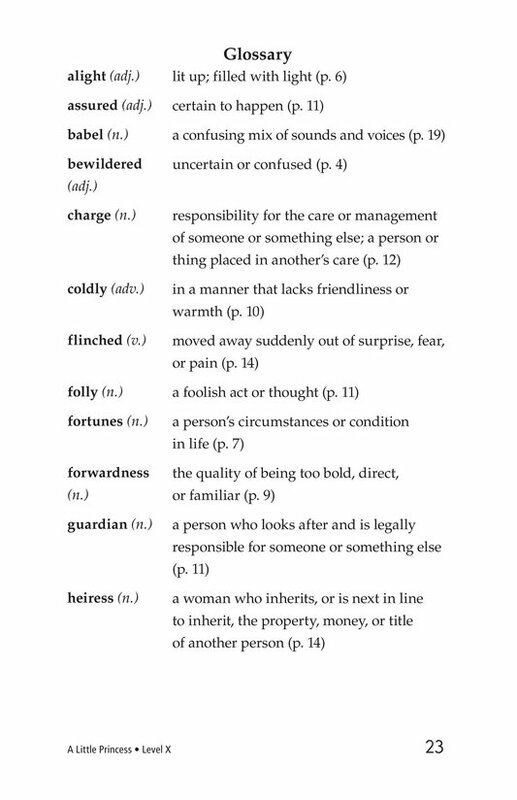 Miss Minchin attempts to get Sara to remain (since she is now enormously wealthy), fails, and ends up fighting with her sister instead. 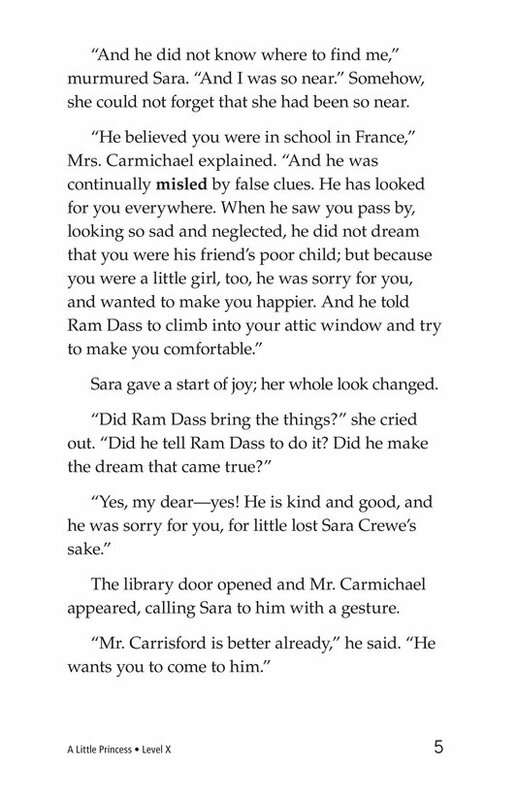 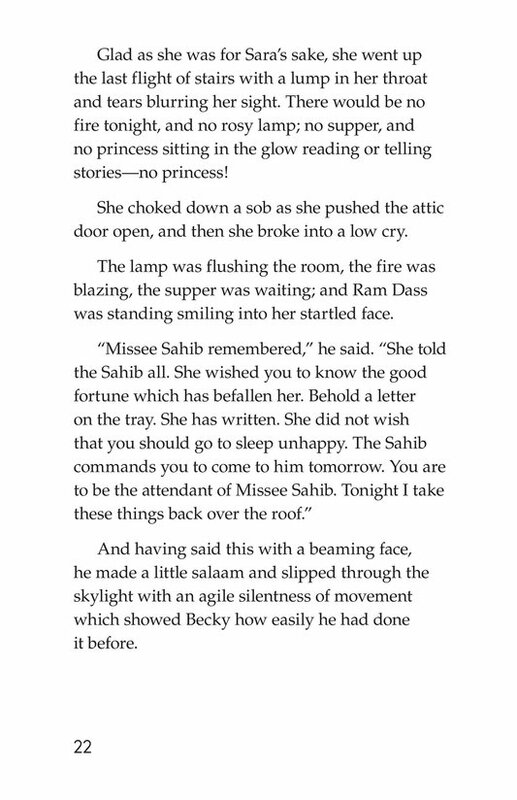 Meanwhile, Ram Dass informs Becky that she will now be Sara's attendant and living with them.